You are here: Home / Recipes / Holiday Chex Mix: A Savory Festive Party Mix! Long before anyone else was up, I’d stumble down the stairs to the basement, scan the room, then proceed to inhale whatever was left in the bottom of the bowls before my brother got up to give me any kind of competition. The salt & vinegar chips, along with the nuts & bolts, or any kind of party snack mix for that matter, were my faves! Sometimes I like the combination of sweet and salty and sometimes it just does not jive. And when it comes to my snack mixes, I just need plain salty. 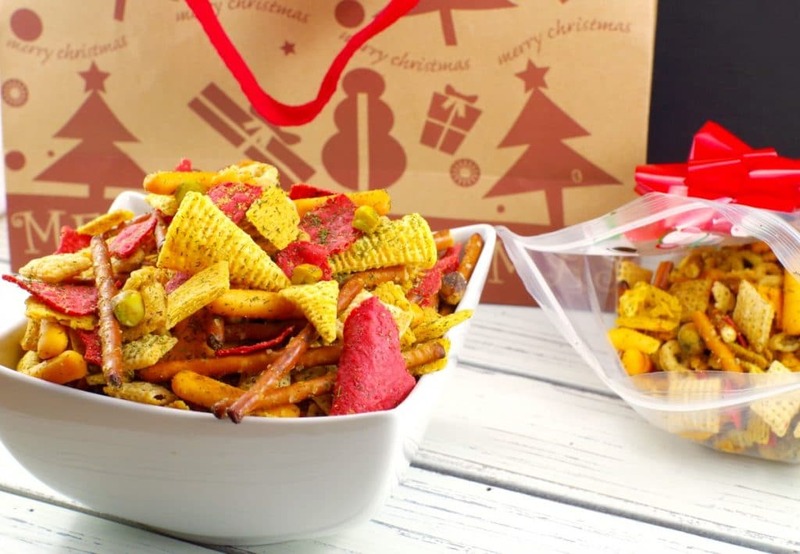 It’s hard to find a Christmas snack mix that looks festive, but is simply savory. 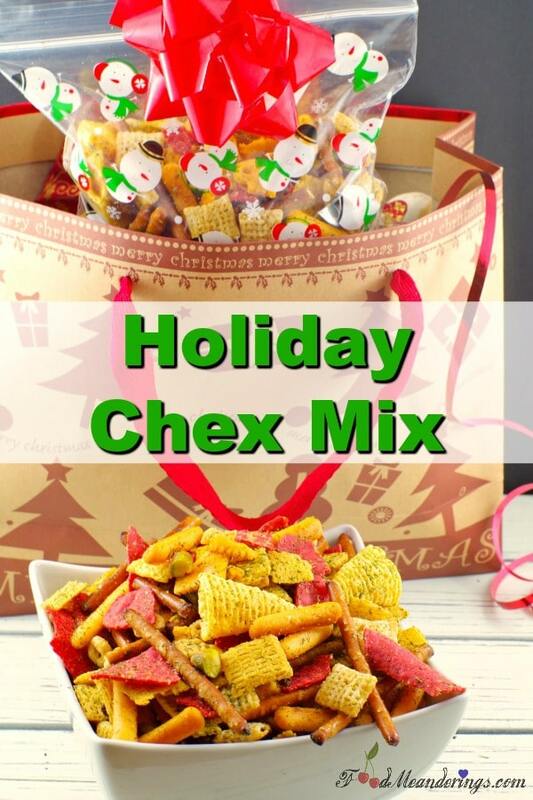 This Holiday Chex party mix is just that. There are a lot of Chex Mix flavors out there, but I couldn’t find one that was a festive party mix, with both red and green colors that did not contain candy or sweets. So, I set out to create my own savory Red & Green Chex mix cereal recipe and this is the delicious result! I have really great memories of my parent’s Christmas parties when I was a kid. It’s not that I was actually at them because I was upstairs, fast asleep, for the majority of the party. But it was just so comforting to drift off to the joyous laughter of those festive gatherings. And I have to admit that it was the morning after that I loved the most because I knew there would be leftover snacks! Holiday Chex mix is simply a bunch of stuff like bugles, cereal mixes, pretzels, nuts and cheese crackers mixed together with butter and spices, then baked. I added red tortilla chips and pistachios, as well as dill for the festive red and green colors! Although this makes a great Christmas snack mix, you could eat this mix any time of the year! It also make a great edible gift! It’s been a long time since I have eaten cereal snack mix out of the bottom of the bowl on a weekend morning, but if I was to do it again, it would definitely be this one. I love the zing of the dry ranch dressing, mixed with lemon pepper, dill and the other spices. But I especially love that it’s festive and purely savory. 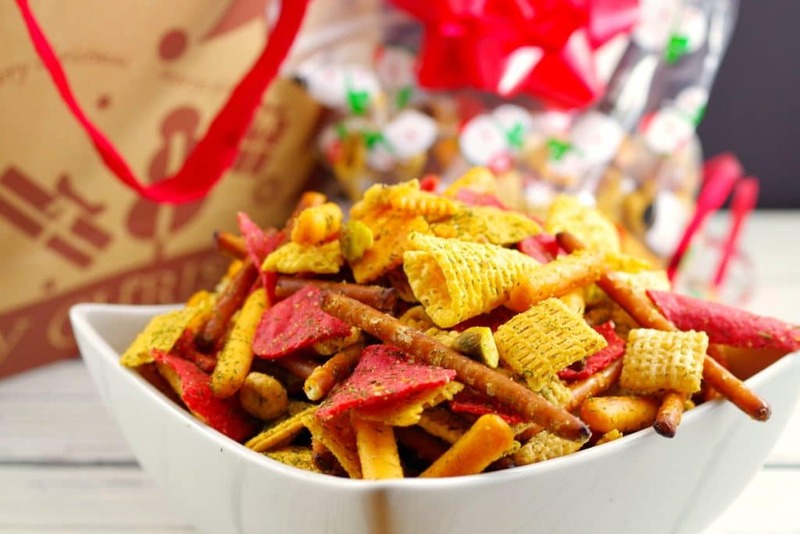 So, if you are looking for a holiday snack mix, this one has it all and no sweet stuff! Try some of my other snack food recipes! This savory Holiday Chex mix is the best Chex Mix recipe and perfect for Christmas with festive red tortilla chips, green pistachio and dill sprinkles added to the mix. It also makes a great edible gift, although it's perfect for any time of the year! 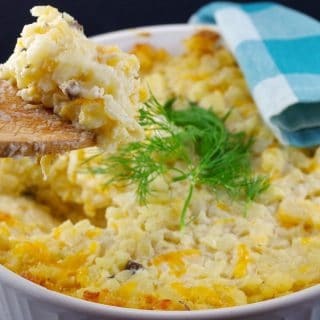 Melt butter in microwave then whisk in 3 tbsp dry ranch dressing and worschestershire sauce. Mix Cheerios, Life cereal, Chex cereal, pretzels, Bugles, pistachios, cheese nips, cheese bits and red tortilla chips together. Pour butter mixture over the dry mix, stir well, coating evenly. Then add garlic powder, onion powder, dill, lemon pepper and remaining 3 tsp of dry ranch dressing and mix well. Bake for 1 1/2 hours. Stir every 1/2 hour. Sprinkle on some additional dill to garnish, if desired. Snack mixes like this are my weakness, they are so hard to stop eating but SO delicious! Love that yours includes the red tortilla chips and pistachios! Yaaas! Love me some Chex Mix. The addition of the red and green bits is super genius for the holidays! I’ll have to give your version a try this year! Hi Jo – thanks – hope you enjoy it! I have the same memories from my childhood and the holiday parties my parents would host! And the leftover snacks the next day were definitely a nice treat. I really like what you’ve done with this snack mix Terri. It’s festive, with so much variety! I guess we all must have similar memories of parent’s parties. I haven’t had a Chex Mix in so long, now I can’t wait to make it. I love the festive look of this one, and the ranch dressing addition. Hi Colleen- thanks! I hope you enjoy it! 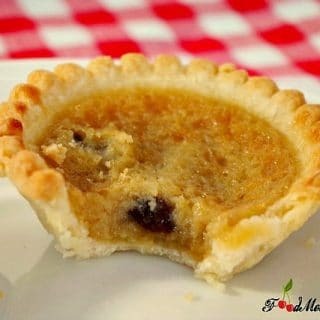 I love this, what a perfect snack to have out during the holidays.